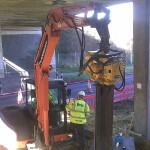 The smallest EMV in our hire fleet ideal for driving or extracting smaller pile sections and perfect for plastic piles. 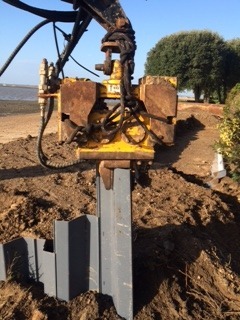 Designed to be mounted directly on the dipper arm of excavators, powered by the on-board hydraulic system and operated by the excavator driver. 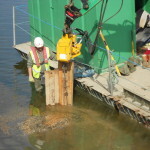 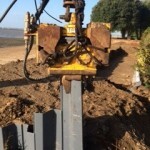 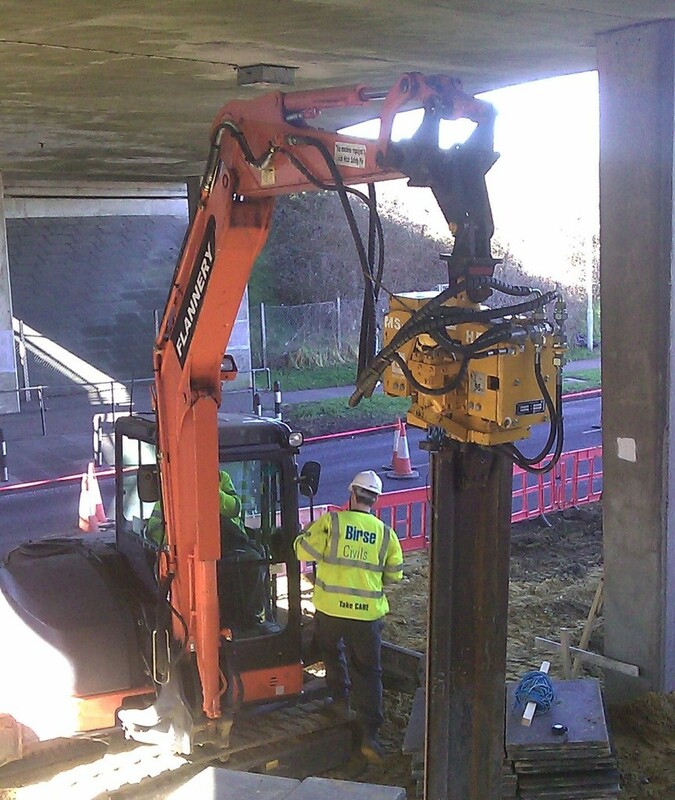 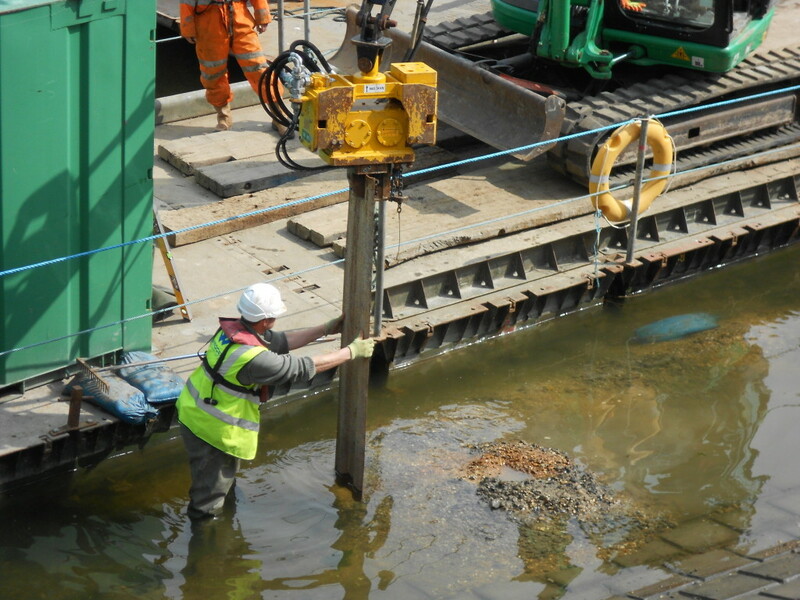 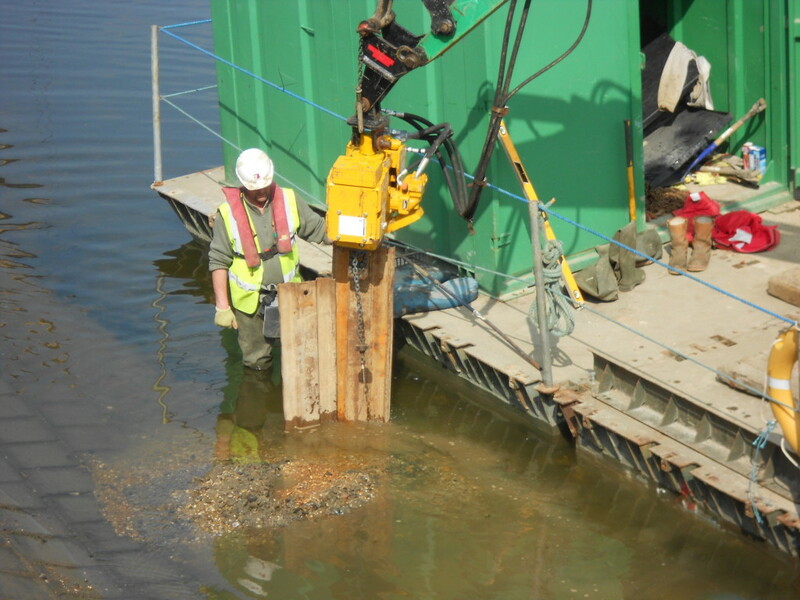 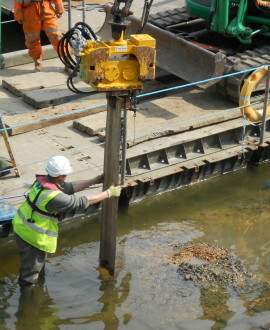 Piling performance can be substantially improved by applying additional force via the dipper arm, enabled by the suspension head which also stops any potentially damaging vibrations being transferred back to the excavator. 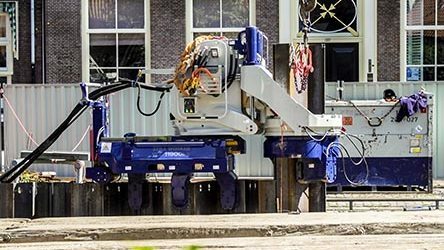 Its compact design enables longer sheet piles to be driven whilst the interchange between tools is simple and quick.